Your yacht is a great place to get away from the hustle and bustle of the mainland and take a deep breath of salty sea air. On your floating oasis, you can relax and appreciate what really matters. 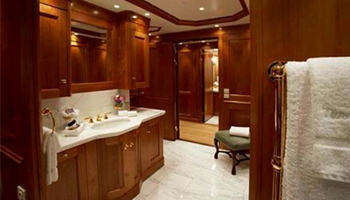 But, if you have a yacht, you may have already realized that space can be limited and weight can be an issue. For instance, you don’t want to weigh your yacht down with heavy objects because it puts strain on the motor. But, at the same time, you want to be able to store all of your necessary (a perhaps, unnecessary items). 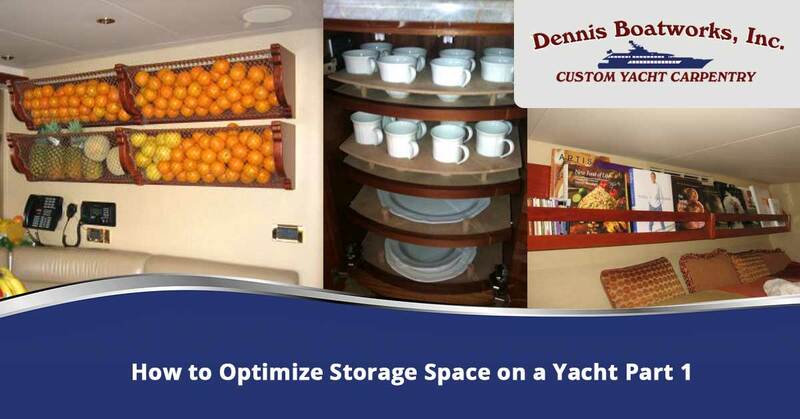 In this blog, we will be discussing how to optimize storage in your yacht or other marine vessels. We hope that by reading this article, you will have new ideas on how to properly store all your items and utilize your vessel space wisely. Even the largest yacht can still be restricted in terms of space. And, because of motion on the high seas, storage on any marine vessel needs to be strategic. What we mean is that you must store all of your items in a secure, safe space that won’t we affected by the motion of your boat. Due to the fragility of some of your items, choosing custom storage space options can be your best choice. With custom storage spaces, your items can be fully secured in areas built to their exact measurements. This means that your precious items will not move while on a voyage across the sea. Seating storage is the most classic option for storage. Underneath seating, you can have an entire space to fill with various types of linens, pillow, and blankets. Though this is the oldest form of storage in any marine vessel, it is the most effective way to store large quantities of items. However, in most vessels, this option of storage is limited to just an empty box-like space. But, with custom carpentry, we can make seating storage far more advanced. With our help, you can create a secretive space that can be fashioned with anti-motion slots for delicate items. For instance, if you would like to storage various bottled wine in your yacht, you will need a delicate storage option. Custom marine carpentry is the ideal way to ensure that your spaces are built to keep delicate objects from coming into contact with each other or being moved while on the sea. 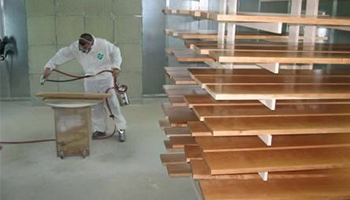 As carpenters, we know how to work with various materials to fit our customer’s needs. Because of this, we can construct custom cabinetry that fit your dimensional requirements. And, if you would like added features to your cabinetry, such as secret compartments or security measures, we can do that for you! Cabinetry is diverse and can vary in function from room-to-room. For instance, cabinetry in your kitchen will have a different use in your bedroom. 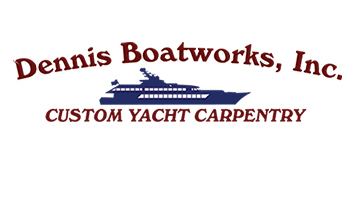 No matter where you would like cabinetry built on your marine vessel, Dennis Boatworks is able to build quality cabinets for you. Cabinetry in your kitchen is one of the most important elements of your yacht because it houses all of your fine china and utensils. If you would like to have a custom cabinet built for your delicate glassware, our experts have plenty of experience crafting such a furnishing. Take a look at our past projects here, and see how we have been able to fashion individual sockets for high-quality glassware. 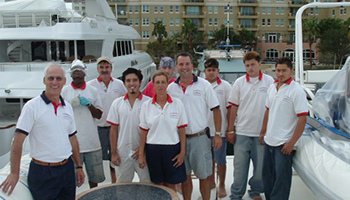 Our cabinets ensure that your glassware will not be a casualty while you are enjoying your time on your yacht. Contact us today if you are interested in custom marine carpentry for your vessel. With our expert craftsmen, we are able to design and build any storage space you would like. With our years of experience and talent for custom works, we have very few limits to what our team of carpenters can accomplish for you. Call us, and a representative will be happy to discuss with you how our business and team operates. And, if you have any special requests, our representatives are able to discuss your needs and deadlines for the project.